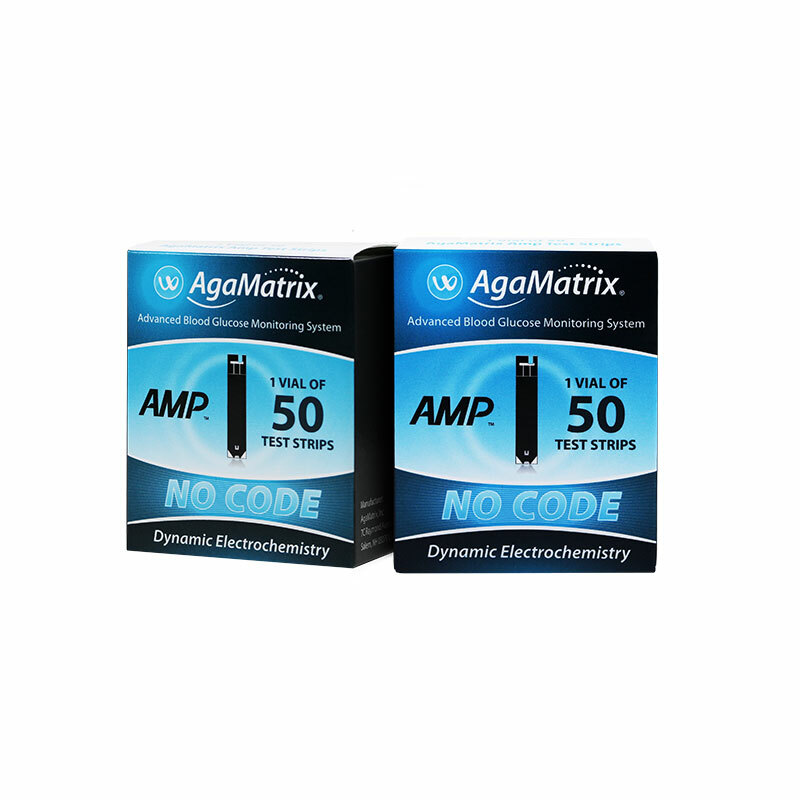 AgaMatrix Amp Blood Glucose Test Strips 100/bx are for use with the AgaMatrix Amp Blood Glucose Monitoring System only, and provide fast, accurate results. Give your fingertips a rest with alternate site testing and small sample sizes! The AgaMatrix Amp™ Test Strips are for use with the AgaMatrix Amp Blood Glucose Monitoring System only, and provide fast, accurate results. Give your fingertips a rest with alternate site testing and small sample sizes! Includes two (2) boxes of 50 diabetic test strips.